Every woman dreams about beautiful firm breasts and some of them resort to plastic surgery to make their breasts big and lifted. Plastic surgery is a dangerous and expensive way to improve your breasts and you should think carefully before you resort to it. The effects of surgery can be irreversible. You should know that there are plenty of natural ways that can help you get the breasts of your dream. You do not need to risk your health or spend sum of money on plastic surgery and useless expensive beauty treatments. Are you interested? We would like to recommend you five effective exercises that can lift your breast and make it look amazing! 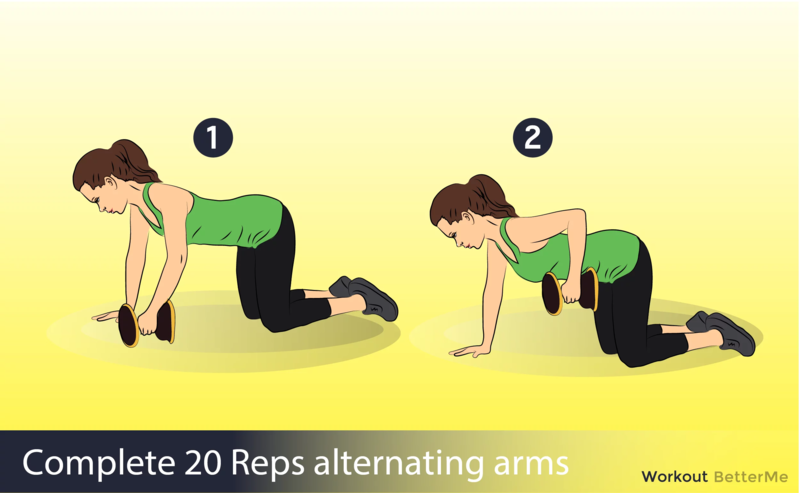 These moves are very easy-to-follow but effective as they include push-ups, planks, one-arm dumbbell row, dumbbell floor chest press and dumbbell raises. You should repeat this set of moves three times with one minute rest between circuits. It is unnecessary to go to the gym to perform this training routine as you can do these moves at home using a set of dumbbells, a mat and a bench. If you will perform these moves daily you will see changes in your breasts after just one month. These exercises are aimed at sculpting your chest muscles that will make them look big and lifted. If you are ready to try performing this breast workout scroll down to see the instructions. Do not wait for the right moment or Monday and start your transformation right now. You can do it!